Electronics seem to be a popular Christmas gift and if my own Christmas wishlist is anything to go by, beauty electronics are also desirable. I've been desperate for a deep skin cleaning Clarisonic for some time now and it's top of my Christmas wishlist this year. 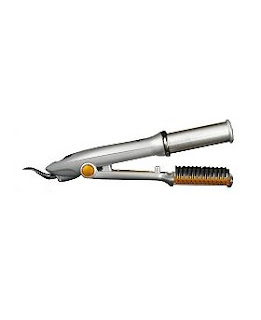 Forget an i-pod, I'm wishing for an O Pod Heated Rollers set from Cloud Nine. I haven't tried it myself but I've been hearing great things about the new Instyler hair tool from my fellow beauty writers. Buyapowa.com have the Clarisonic Mia on their coming soon list, when it goes up its bound to be at least 30% cheaper than RRP.